"Human Rights Watch Cites Al Qaeda and Collaborators in Latest Syria Report"
On the heels of Amnesty International's admittedly and entirely fabricated report regarding Syria's Saydnaya prison, Human Rights Watch (HRW) has published its own baseless report on Syria -- this one regarding alleged chlorine bomb attacks in Aleppo during the city's liberation late last year. 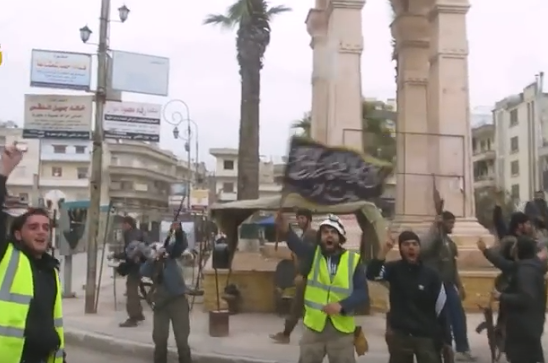 Image: "Syria Civil Defense" [White Helmets], interviewed by Human Rights Watch, hoisting Al Qaeda's flag amid a gang of heavily armed terrorists. Watching the videos and viewing the photographs reveals that none of them actually link any of the alleged "chlorine attacks" to Syrian forces, or even to chlorine itself. The body of evidence presented by HRW also reveals that the interviews they conducted with alleged "witnesses" included almost exclusively opposition forces. Among them were the US-UK funded White Helmets - referred to disingenuously as "Syria Civil Defense" in HRW's report - who served as designated terrorist organization Jabhat Al Nusra auxiliaries, often found on the battlefield shoulder-to-shoulder with armed militants. United Arab Emirate-based Al Nusra propaganda platform "Orient News" was also cited, as were other notorious anti-government propaganda networks including the Aleppo Media Center. Not only are these clearly compromised sources of information based on their admitted political alignments, but also because of their respective, systematic fabrications throughout the Syrian conflict. It is telling of HRW's systematic bias that it would base an entire report on compromised sources drawn from the opposition, but not even a single report based on government claims. In reality, a truly reputable rights advocacy organization would only report what physical evidence was verified. Human Rights Watch has deliberately avoided doing so not only in Syria, but amid virtually ever conflict it involves itself in. From conflating the number of civilians "trapped" in eastern Aleppo, to attempts to downplay or dismiss the role designated terrorist organizations played in the occupation of Aleppo, the groups and individuals cited by Human Rights have practiced deliberate deceit throughout the battle for Aleppo, and the Syrian conflict at large. For Human Rights Watch - an allegedly world-renowned rights advocacy organization - to cite such sources indicates that this latest report, like Amnesty International's recently fabricated report, constitutes a politically-motivated attack hiding behind rights advocacy, not upholding it. Considering the timing of Amnesty International, Human Rights, and also the Atlantic Council's reports, rolled out in a multi-organizational campaign attacking the Syrian government, the individual deceit of each organization transforms into collective and coordinated impropriety. A final consideration in the wake of Human Rights Watch's latest, politically-motivated report is the fact that all actual evidence points to the opposition itself for being behind both the production and deployment of chlorine-based weapons. In August rebel forces took Sabbagh’s factory by force, as part of a sweep that also netted them an electricity station and a military airport about 30 km from Aleppo. Sabbagh, who has since fled Aleppo for Beirut, says his factory is now occupied by Jabhat al-Nusra, a militant group with strong ties to al-Qaeda that has been designated a terrorist group by the U.S. He knows this because his site manager has struck a deal with the rebels — they supply 200 L of fuel a day to keep the generator running so that the valves of his $25 million factory don’t freeze up. The factory isn’t operational anymore, but this way at least, says Sabbagh, it might be one day in the future. In the meantime, he has no idea what has happened, if anything, to the 400 or so steel barrels of chlorine gas he had stored in the compound. The yellow tanks, which hold one ton of gas each, are used for purifying municipal water supplies. “No one can know for certain, but if it turns out chlorine gas was used in the attack, then the first possibility is that it was mine. There is no other factory in Syria that can make this gas, and now it is under opposition control,” he says. Can France with Marine Le Pen as president save its embattled farmers? India isn't the only place where farmers are committing suicide. "On average, one French farmer committed suicide every two days, according to France’s public health agency." 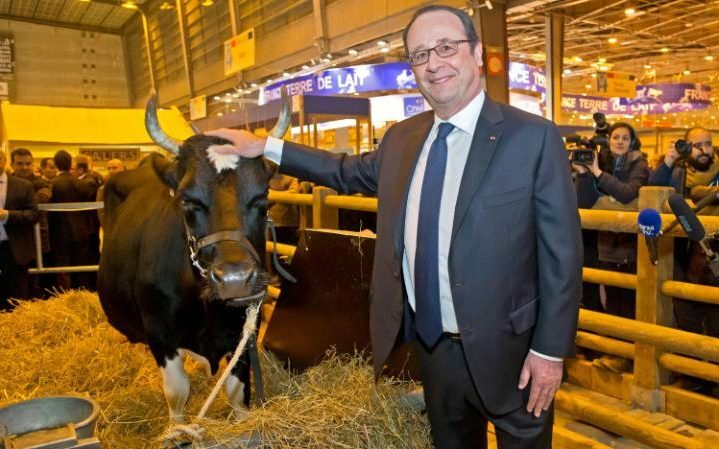 (PORDIC, BRITTANY) Bertrand Hourdel proudly pats one of his plump pigs, but the Brittany farmer is painfully aware that when he sells them, his profits, if any, will be slim. “If France left the EU, I hope things would get better,” said Mr Hourdel as he watched pregnant sows bedding down on straw. France remains the biggest beneficiary of EU farm aid, but more than a third of French farmers earned less than €4,200 (£3,560) last year, squeezed by falling food prices and cheaper imports from other member states. Given British resentment over the years at paying into the EU and a popular perception that French farmers were claiming aid and living high on the hog, there may be a certain irony that the French now feel cheated by east European member states. It is true that France is now a net contributor to the EU. Mr Hourdel, who also grows crops on his 300-acre farm in Pordic, collects €40,000 a year in subsidies, but says his expenses are much higher. He would prefer to see EU aid replaced by a national system of quotas and subsidies, as Ms Le Pen proposes. Like many other farmers, Mr Hourdel, 53, used to vote for mainstream conservatives. Now he feels that Ms Le Pen is the only candidate standing in the presidential election this spring who is genuinely offering farmers a solution. Imports of cheaper German pork and milk and Spanish fruit have badly hurt French farmers. Labour costs are higher in France, partly because of taxes and compulsory health and welfare contributions. Also, German abattoirs employ temporary workers from eastern Europe on east European pay rates. Mr Hourdel welcomes Ms Le Pen’s proposal to restrict imports — impossible in the single market. “What I really want is an end to handouts and to be paid at a fair price for what I do, but that will never happen as things stand now,” he said. Milk prices paid to farmers fell by about 20 per cent last year because output rose after the EU phased out production quotas in 2015. Beef prices dropped as unprofitable dairy cows were sold to abattoirs [slaughterhouses]. Pork and chicken prices collapsed after EU sanctions ended exports to Russia. Consequently, many farmers see little harm in Ms Le Pen’s pro-Moscow views. However, Mr Smessaert acknowledges disparities between the rules applied in different member states and the need for reform. “The EU should regulate less and harmonise the regulations in the different countries,” he said. Farmers and rural voters could hold the key to the outcome of France’s presidential election. Ms Le Pen leads the polls for the first round of voting in April. She is still forecast to be defeated in the decisive second round, but she has been enouraged by Brexit and Donald Trump’s surprise victory in the United States, and no one is taking anything for granted. Farmers make up only 8 per cent of voters including their families, retirees and workers in agriculture-dependent jobs, but rural communities overall total 20 to 25 per cent. It is roughly the same percentage as in the United States, where rural support helped Mr Trump win. Agriculture has been notably absent from France’s election until now, but all the candidates will set out their stalls at the "Salon de l’Agriculture," the farm show that opened on Saturday. A huge political event in a nation still deeply attached to its rural roots, no candidate can afford to stay away. I think those women are professional dancers, not actual whirling dervishes, but this doesn't interfere with the point of the song. "The true source and real purpose of the White Helmets were exposed almost two years ago by investigative journalists." Much of what people think they know about the White Helmets is untrue. The group is not primarily Syrian; it was initiated by British military contractor James LeMesurier and has been heavily funded (about $100 million) by the U.S., U.K. and other governments. The White Helmets are not volunteers; they are paid, which is confirmed in a Al Jazeera video that shows some White Helmet “volunteers” talking about going on strike if they don’t get paid soon. Still, most of the group’s heavy funding goes to marketing, which is run by “The Syria Campaign” based in New York. The manager is an Irish-American, Anna Nolan, who has never been to Syria. As an example of its deception, “The Syria Campaign” website features video showing children dancing and playing soccer implying they are part of the opposition demand for a “free and peaceful” Syria. But the video images are taken from a 2010 BBC documentary about education in Syria under the Baath government. Yet, we now know that the propaganda around the “noble” rebels holding out in east Aleppo – with the help of the White Helmets – was largely a lie. The rebels mostly fought under the command structure of Al Qaeda’s Nusra affiliate and its fellow jihadists in Ahrar al-Sham. A video shows White Helmet workers picking up the corpse of a civilian after execution by Nusra/Al Qaeda and celebrating the extremists’ battle wins. Western “human rights” groups touted not only the White Helmets but the “moderate rebels” who we now know were largely a P.R. cover for the terrorists and jihadists, as well as an excuse for the U.S. and its allies to funnel in weapons that were then turned over to the extremists. When eastern Aleppo was finally freed from the armed militants, it was discovered that the White Helmets headquarters were alongside the headquarters of Al Qaeda’s Syrian affiliate. Civilians from east Aleppo reported that the White Helmets primarily rallied their “humanitarian” operations when the militants were attacked. Soon after departing Aleppo in government-supplied buses, the White Helmets showed up in the mountains above Damascus where they allied with terrorist groups responsible for poisoning and then shutting off the water source for five million people in Damascus. The White Helmets’s claim to be neutral and independent is another lie. 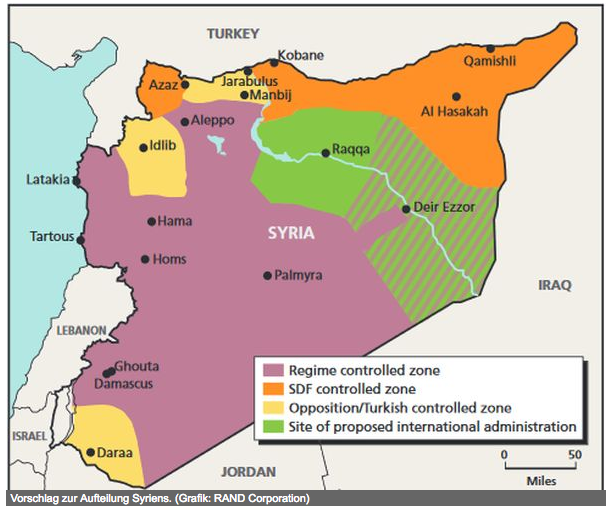 They only work in areas controlled by the rebel groups, primarily Al Qaeda’s Nusra, and their leaders seek to bring in direct U.S. and NATO military intervention to assure a “regime change” in Syria although it likely would create a vacuum that the extremists would exploit to the further suffering of the Syrian people. The film is as fraudulent as the group it tries to turn into heroes. The filmmakers never set foot in Syria. Their video footage takes place in southern Turkey where they show White Helmet trainees in a hotel and talking on cell phones. The footage from inside Syria is not from independent journalists but from the White Helmets themselves – and much of it looks contrived. Khaled Khatib, the White Helmets’s photographer who sayshe filmed the footage inside Syria, reportedly received a U.S. visa and will attend the Oscars. Khatib tweeted the first video he took showing the White Helmets, with a girl who was totally buried being removed without injuries or wounds or even much dirt. The original video has the logo of Aleppo Media Center (AMC), which was created by the Syrian Expatriates Organization. Their address on K Street in Washington DC suggests this is yet another Western-funded operation similar to the Iraqi National Congress that lobbied and lied on behalf of the 2003 invasion of Iraq. In the past few days, with perfect timing for the upcoming Oscars, there was yet another “miracle” rescue, another girl buried but then removed and whisked away in record-breaking time – perfect for social media. The momentum in support of the White Helmets infomercial raises a question about how this Oscar is awarded. Is it for journalistic authenticity or is it to conform with the political passions of the moment, which themselves are partly contrived by a well-funded propaganda campaign mounted by Western/Israeli/Gulf governments. The true source and real purpose of the White Helmets were exposed almost two years ago by investigative journalists. Max Blumenthal has written a two-part detailed examination of the “shadowy PR firm” behind the White Helmets. And Jan Oberg has written an overview survey of the “pro” and “con” examinations in his work “Just How Gray are the White Helmets”. More recently, Vanessa Beeley has documented the fact that the White Helmets pretends to be the Syrian Civil Defense when there is a real Syrian Civil Defense, which was begun in the 1950s and is a member of the International Civil Defense Organizations. The White Helmets group was launched as “Syria Civil Defense” in Turkey in 2013 before being re-branded as the “White Helmets” in 2014. According to on-the-ground interviews in Aleppo, militants began supplying this operation by killing real Syrian rescue workers and stealing their equipment. Since then the White Helmets have been supplied by the West through Turkey with brand new ambulances and related rescue equipment. Despite exposés about the group, the West’s mainstream media and some “alternative” outlets continue to uncritically promote the White Helmets myth and rely on the group as a source of news about Syria. In 2014-2015, the White Helmets became a rallying point for columnist Nicholas Krisof, the activist group Avaaz and others to campaign for all-out Western assault on the Syrian government and its military. Perhaps ironically – given the Israeli government’s desire for a “regime change” in Syria – the Israeli mainstream TV program I24 presented both sides of the issue and titled the segment “White Helmets: Heroes or Hoax?” By contrast, the progressive program “DemocracyNow” in the United States has only broadcast a puff piecepromoting the “White Helmet” disinformation. Whether or not the White Helmets snag the Academy Award, they surely deserve recognition for their skillful marketing and advertising. In 2016, the group received the Rights Livelihood Award and was seriously considered for a Nobel Peace Prize. The Oscar nomination for “The White Helmets” movie is just the latest success in the ongoing campaign of distortion and deception around Syria. Live it Up, Parts 1 and 2, released September 7, 1974, by the Isley Brothers. Listening is still a great way to get through the day when you're down. There is a video at YouTube of an audience dance lineup at Soul Train dancing to the song. Crummy sound -- it might have been recorded straight from TV -- but the dancing, by nonprofessionals, is fab. I'll come across the video again and post it sometime. For now, try playing Live it Up while listening to the nightly news, the yammerings of politicians or your coworkers. Or play it when you face an "I don't wanna do this" chore like removing gunk from the dishwasher or de-ticking the dog or plowing through 100 comments at Moon of Alabama about the latest Erdogan machinations in the Syrian war. Pakistan under attack. Are TTP and Islamic State in cahoots there? ISLAMABAD: At least eight people were killed in a bomb blast in Lahore Thursday, the tenth attack to strike Pakistan in just under a fortnight, with the apparently coordinated wave pointing to resurgence in militant violence. - At least eight people are killed and 30 injured after a blast rips through a building in an upscale shopping area of the eastern city of Lahore. No group has immediately claimed the attack. - At least seven people are killed when multiple suicide bombers attack a court complex in northern Pakistan. The attack is claimed by the Jamaat-ul-Ahrar (JuA) faction of the Tehreek-e-Taliban Pakistan (TTP), or the Pakistani Taliban. - At least 90 devotees are killed and hundreds wounded when a devastating bomb detonates in the popular Sufi shrine of Lal Shabaz Qalandar in Sehwan in southern Pakistan. The Islamic State group claims the attack. - Gunmen on motorcycles kill four policemen and a civilian in the northwestern town of Dera Ismail Khan. The attack was claimed by the umbrella TTP. - An improvised explosive device claimed by JuA hits an army convoy in the restive southwestern province of Balochistan, killing three soldiers and wounding two others. - A suicide bomber rides a motorcycle into a van carrying judges in the northwestern city of Peshawar, killing the van´s driver in an attack claimed by the umbrella TTP. - Two suicide bombers launch an assault on a government compound in the Mohmand tribal region in the northwest, killing five people and wounding seven, with the attack claimed by JuA. Later, a fourth suicide bomber blows himself up as police surround him. - Fourteen people are killed and 82 injured when a powerful bomb blast tears through Lahore. The attack, apparently targeting police, is claimed by JuA. - Two members of the bomb disposal squad are killed while defusing a device in Quetta, the capital of Balochistan. No group claims responsibility for the bomb. - A roadside bomb kills three paramilitary soldiers in a restive northwestern tribal area bordering Afghanistan. "There is a well established substructure that now exists within the country that is populated by a range of groups under a generic TTP banner." I didn't understand the statement from JA/TTP (below) that both the Charsadda and Sufi shrine attacks were part of "their" Ghazi operation. I thought the shrine attack was the work of Islamic State. Was JA/TTP saying they were working with Islamic State? From the last paragraph in the following editorial by the Express Tribune staff, it looks as if the answer is yes. Attacks on a single target by multiple suicide bombers are relatively rare. Three attackers made a frontal assault on the Charsadda sessions courts through the main gates, firing as they came and throwing hand grenades in a determined attempt to storm the crowded building. The police and security forces fought back killing two of the attackers, the third died when his vest detonated. At least six people were killed in the attack and approximately 20 injured. These figures may be subject to revision. There can be no doubt that the first-tier response of those guarding the building saved many lives. The attack was swiftly claimed by the Jamaatul Ahrar (JA) which is a branch of the TTP franchise, and demonstrates the breadth of operational spread that the JA has — from Sehwan in Sindh to Charsadda in Khyber-Pakhtunkhwa, a 40-minute drive from the provincial capital of Peshawar. The JA said in a call to the media that the attack was a part of their Ghazi operation, as was the attack on the Lal Shahbaz Qalander shrine, and the JA is emerging as the most active current player in the terrorist constellation. Laudable as the valiant efforts were of those on duty at the gates of the court, questions have to be asked yet again as to whether or not the attack constitutes an intelligence failure. The logistics behind the attack would have been complex in terms of weapons, explosives and other munitions — but not so complex as to be beyond the capacity of resourceful terrorists, who would have needed a place to eat and sleep prior to carrying out the attack. There is a well established substructure that now exists within the country that is populated by a range of groups under a generic TTP banner. Included within that population is Islamic State (IS), a reality long denied at a senior level of government. There is a gaping hole where there ought to be a plan, and it is not possible to arrest and detain a way out of the terror maze. Dial back the delusion before it is too late. This sort of thing happens so frequently that I rarely mention it anymore, but 700 at one clip is a good reminder. I note that a large number out of the 700 will be joining the military, which often happens during the settlement procedure. SANA also reports today: 1500 displaced persons return to Hama’s Helfaya, 45 persons fleeing ISIS in Raqqa arrive in the province. Damascus Countryside, SANA – Governor of Damascus Countryside Alaa Ibrahim inspected on Wednesday the services situation in Serghaya town and the implemented measures to settle the status of armed persons after the departure of terrorists from the town within the framework of continued local reconciliations in the western part of the province. In a press statement during the visit, the Governor said the process of settling the legal status of about 700 persons from the town of Serghaya has been embarked on, noting that a large number of those persons will join the military service, while the others will return to their normal lives. He said 180 terrorists with their families left the town for Idleb [Idlib] on Monday, stressing the need to speed up the process of emptying the town of arms and armed men. He also directed the workshops to immediately start working to restore the basic services and providing fuel and basic materials to citizens. The Governor called on locals in the Eastern Ghouta of Damascus, particularly in Douma city, to exert pressure on the militants who hold locals as hostages to leave the city. Ibrahim pointed out that the reconciliation in al-Zabadani and Maddaya towns is linked to the situation of the terrorist-besieged towns of Kefraya and al-Fouaa in Idleb and will be solved soon, adding that the reconciliation process in Yalda and Beit Sahm is running smoothly. He also referred to a reconciliation agreement that might be soon achieved in al-Qaboun neighborhood in Damascus in parallel to the operations of the Syrian Arab Army there. Effectively, the predominately Kurdish SDF were able to impose full control over Budayan, Naflah, Mukhkhah, Bir Qurat, Tal Sha’er, Mastur, Kuwaytar, Qaryat Sukkar and an important pipeline facility in the region. These villages are located on the provincial border between Raqqa and Deir Ezzor; due to the unprecedented advances that occurred on two flanks this morning, ISIS fighters in the villages of Al-Qarah and Bir Abu Tutah may soon face encirclement. TEHRAN (FNA)- Syrian army soldiers repelled terrorists' massive attack on their positions in Damascus after hours of clashes, inflicting major losses on them. The ISIL terrorists' large-scale attack to capture the government forces' positions in Eastern Ghouta was fended off by the strong defense of the Syrian military men. Meantime, the Syrian army and popular forces continued their military advances in other parts of Syria, including Deir Ezzur and Homs, over the past 24 hours. The Syrian army warded off an attack by the terrorist groups on government forces' military positions in Eastern Ghouta in Damascus province. The Syrian army units beat back a group of terrorists who were trying to penetrate into Housh al-Zawahereh region in Eastern Ghouta, inflicting heavy losses on the militants. Several terrorists were killed and wounded in clashes with the Syrian army. Meantime, the Syrian air force targeted the terrorist groups' military positions in Douma in Damascus countryside, inflicting heavy losses on the terrorists. Syrian government troops targeted the terrorists' moves and gathering centers in the Western countryside of Damascus, inflicting tens of casualties on the militants. The Syrian army units heavily pounded the terrorists' positions in the Southern parts of Beit Saber village in Western Damascus. The attack killed at least 5 militants and destroyed their weapons and ammunition in al-Zahr al-Aswad hill. Also, the Syrian soldiers fired missiles at al-Nusra Front's (recently renamed to Fatah al-Sham Front) gathering center near the road leading to Moqr al-Mayer village in Southeastern Damascus, killing and injuring over 38 terrorists in the region. Earlier on Monday, the Syrian army issued a last ultimatum to the terrorists stationed in Eastern Damascus to leave al-Qaboun and Barzeh al-Balad districts, field sources said. The sources referred to the Syrian army troops' attacks against al-Nusra (Fatah al-Sham) Front positions in al-Qaboun district, and said ground attacks have not yet started and only some al-Nusra gathering centers have been targeted. Meantime, local sources reported that the National Peace Committee has distributed several copies of the peace agreement among the terrorists in Barzeh al-Balad and al-Qaboun districts to persuade them to accept the government's granted amnesty. Meantime, the Syrian army units launched missile attacks on al-Nusra centers in al-Qaboun and Tishreen districts, killing 7 militants and wounding tens of others. The attacks also demolished the al-Nusra Front's command room in the region. The Syrian army backed by the country's air force destroyed the gathering centers and movement of al-Nusra Front in Hama and Idlib provinces, inflicting heavy losses on the terrorists and destroying their military bases. The Syrian air force targeted and destroyed al-Nusra Front's military base in the village of al-Tamaneh in Southern Idlib, killing the terrorist group's senior commander Abdel Razzaq al-Ashhab. Meantime, the Syrian army heavily pounded the terrorists in the town of Kafr Zita in Northern Hama, killing a number of terrorists and destroying their military vehicles. The Syrian army and its allies are just 500 meters away from Harabash district near Deir Ezzur military airport which has been besieged by the ISIL terrorists for two months now, a military source said on Monday. "The ISIL is not deployed in the region which separates the army from Harabash and Deir Ezzur airbase but it has control over the region by launching attacks from Sariya Junaid, Tal al-Muhandesin and the power plant," the source said. He also said that the Russian fighter jets attacked a number of ISIL Toyota vehicles near Hamdan airport in the Southern parts of Bu Kamal city in Eastern Deir Ezzur, and added, "The common border between Syria and Iraq has also witnessed Russia's airstrikes on ISIL's Toyota vehicles stationed at the entrance of the Syrian territories in the Southern parts of Mayadeen city." The Syrian army ambushed and killed a large group of the ISIL terrorists in Eastern Hama, preventing dispatch of aid to their comrades in the ancient city of Palmyra (Tadmur) in Homs province. The Syrian army forces clashed with the ISIL militants in Ithriya region after ambushing them and killed and wounded all the terrorists in the area. They also seized three vehicles moving from Wadi al-Azib to al-Tanhaj village in the Eastern parts of Salamiyeh to send aid to the ISIL terrorists near Palmyra. Meantime, the Syrian army units repelled militants' offensive in Ithriya and killed tens of them after heavy clashes. Several weapons belonging to the terrorists were also seized by the Syrian troops.